The Kelly's, Post Office and Harrod & Co Directories were very much like today's Yellow Pages. They contained a list of all the businesses and tradespeople located in a village, along with details of the local gentry, landowners, charities and facilities. 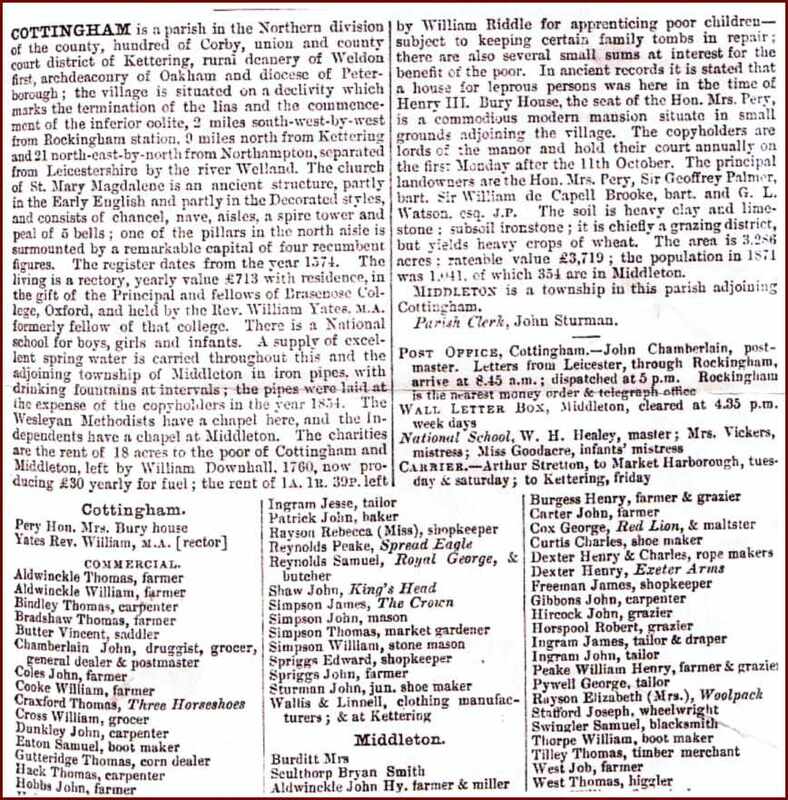 The extracts below are the main pages from these directories for Cottingham and Middleton. 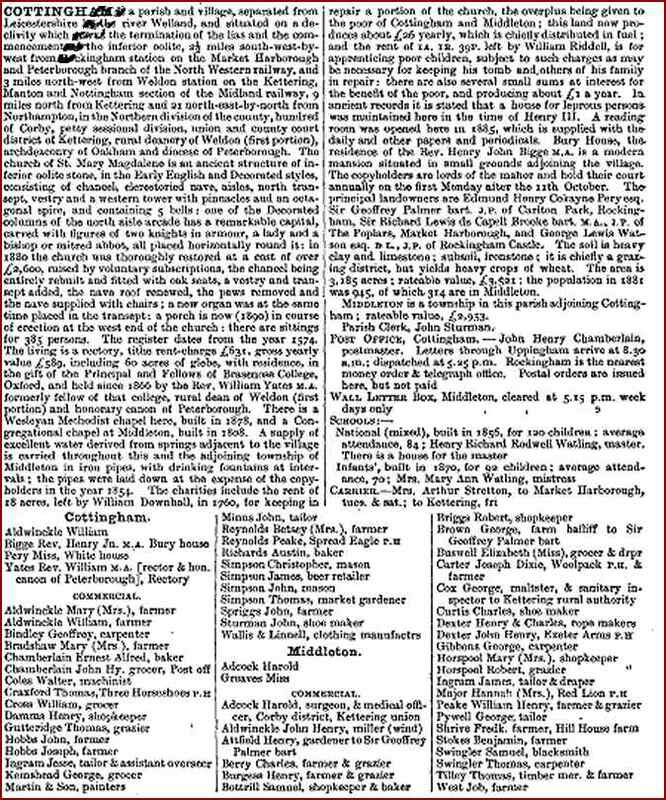 You will see that many of these directories make reference to there having been a hospital for leprous persons in the village in the time of King Henry III. However, according to Peter Hill's book 'Rockingham Forest Revisited' this is incorrect, with Cottingham having been mistaken for nearby Coton, a village which has since disappeared.